Sofia, Bulgaria - Patriarch Evtimiy 27 Blvd. Located in the very city center of the capital of Bulgaria, Sofia Guesthouse offers secure, clean and affordable accommodation. We offer lots of interesting opportunities for an adventurous vacation! 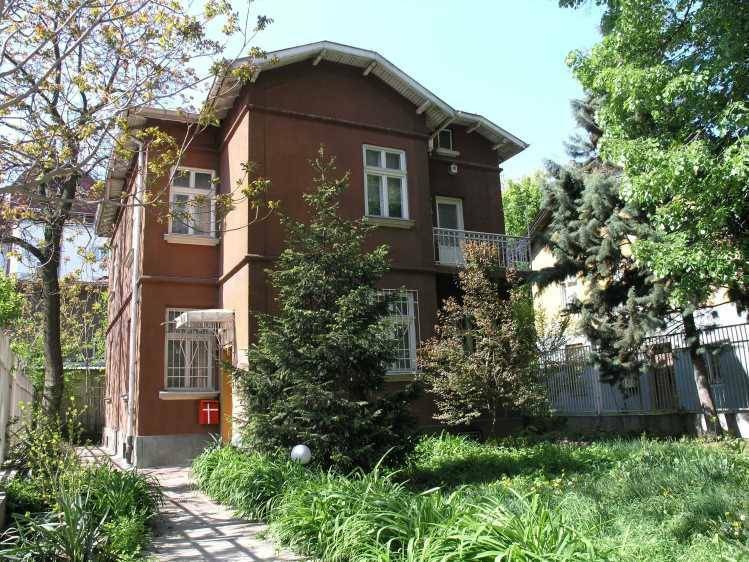 Located in the very city center of the capital of Bulgaria, Sofia Guesthouse offers secure, clean and affordable accommodation in newly renovated bedrooms: 10-bed 8-bed dormitories, four double rooms with private bathrooms and one private family room with shared facilities for up to 4 people. For a total of 9 euro per night including all you can eat breakfast, you will be able to enjoy free linen, hot showers/toilets, fully equipped kitchen, free internet access as well as wide screen TV sets with cable TV. Laundry and ironing facilities, safe secure storage in over 50 lockers at guests' disposal will quarantee you a comfortable stay while our friendly hosts will assist you by arranging exciting one day tours, mountain treks, bicycle and car rental and a lot more. Apart from its top location the guesthouse offers a nice garden for relaxation. 7 rooms with a total of 30 beds: 1 room with 10 beds, 1 room with 8 beds, 1 family room with 4 beds, 4 double rooms with private bathrooms. Self-catering kitchen with all modern cooking utensils and equipment, including cooker, microwave, fridge and a dishwasher. Washing machine and a tumble dryer at guests' disposal. Safe secure storage in over 50 lockers. Sofia Guesthouse is located at: 27 "Patriarch Evtimiy" Blvd. in the very center of Sofia and just 350 m from the most famous meeting point in Sofia - the monument of Patriarch Evtimiy (conditionally named "Popa" in Bulgarian). The tiny corner between the streets "Patriarch Evtimiy" and "Graf Ignatiev" is the favourite place for appointments among young people before they go to some of the neighbouring beer-houses, pizzas, pubs etc. The distance to other sites of interest. For an elegant dining experience head for this historic house crammed full of sepia photographs of old Sofia. The menu focuses mainly on classic Bulgarian dishes although there's a number of modern European choices too. Sofia's first real takeaway burger joint and still the best. It's packed at lunchtimes and remains the venue of choice for after-club munchies. Burgers come with a wad of deliciously greasy French fries stuffed inside. Cheap canteen-style food in a functional but smart setting. Feast on salads, Bulgarian stews, pizzas and more. Great restaurant, offering superbly prepared chicken, duck and steak dishes, and some delicious vegetarian concoctions on the starter menu. There's live jazz at the weekends, and few diners leave here disappointed. Modern European cuisine of the highest order, served in elegant surroundings and backed up by a truly international selection of quality wines. 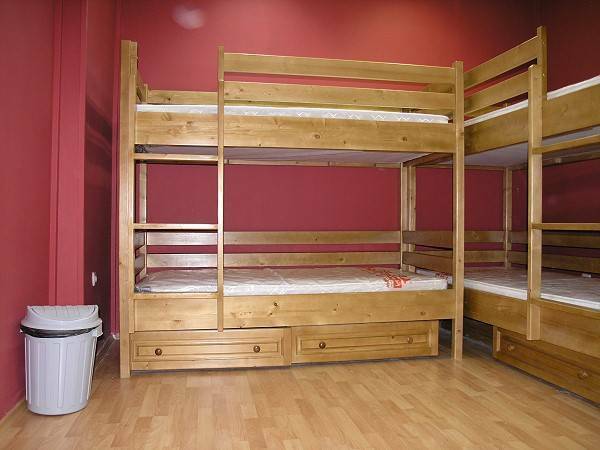 Irreproachable standards of service and a conveniently central location. The following terms and conditions apply to reservations made by you through our website. You can make Your reservation for Sofia Guesthouse at our web address: or by phone: +35929813656 at least 30 days before Your arrival. On making a reservation, you shall pay the amount of the total cost of Your reservation. You have to pay the whole sum at most in 10-days period and not later than 30 days before Your reservation was made. If the price of Your reservation is more than 100 euros You have to pay a deposit of 100 euros at most 7 days after the reservation. Otherwise, if the price of Your reservation is less than 100 euros You have to pay the whole sum at most 7 days after the reservation. You have to pay in the sum for Your reservation at our website address: (booking). We accept the folowing credit cards: Master card, VISA. Cancellations have to be made through our website ( or by phone (+35929813656). If You do not cancel Your reservation, Your failure to arrive by the agreed check-in date and/or time will result in the cancellation of Your entire reservation. By confirming a reservation with Your credit card, You agree that in the event that You cancel Your reservation or that You fail to arrive by Your agreed check-in date and/or time, You authorize us to charge to Your credit card without further reference to You an amount determined by our terms, conditions, and policies applicable to the reservation. If You cancel Your reservation for less than 30 days before Your arrival You will not have Your reservation sum back. Otherwise, if You cancel Your reservation for more than 30 days before Your arrival, You will have Your reservation sum except 25 euros service charge. If in Sofia Guesthouse arrive less people than we expect You will receive the number of nights that are paid for free of charge. You could change Your reservation for free for the first time You've made it. If You change Your reservation for more once, You have to pay 25 euro for each change You make. By confirming your reservation, you agree that any liability for losses, additional expenses or any claim whatsoever due to changes in accommodation, travel services, health, injury, weather, strikes, or any other cause shall be borne by you. Sofia Guesthouse is located at: 27 "Patriarch Evtimiy" Blvd. in the very center of Sofia and just 350 m from the most famous meeting point in Sofia - the monument of Patriarch Evtimiy (conditionally named "Popa" in Bulgarian). The distance to other sites of interest is as follows: the National Palace of Culture (450 m), the Alexander Nevski Cathedral (1000 m), the National Stadium (750 m), the open-air books market "Slavejkov" (400 m), "Sveta Nedelya" square & the House of the President (1000 m), the Parliament (850 m) etc. Take the bus number 84 or 284 to the last stop (25-30 min). Do not forget to buy and punch a ticket in the bus, because most probably you will be checked by a conductor few minutes after the bus starts (one ticket for you and one for your rucksack if it is larger than 60x40x40cm). When you get off you will have to walk about 10min along "Vasil Levski" Blvd., passing by the "Patriarch Evtimiy" monument and again following the street of the same name you will reach Sofia Guesthouse on the left side of the boulevard (see the map). Another option is to take a taxi from the airport. It will cost about 10-12 leva (3, 5-5 Euro) depending on the traffic in the center. If you wish you could order pick up service from STIC at the price of 9 Euro/pax (daytime: 09:30- 18:00) and 25 Euro/car- up to 3 people (night time: 18:00- 09:30). The two stations are located at a distance of just 150m from each other. So the ways of transportation to Sofia Guesthouse by public transport or taxi are all the same. Walking it takes about an hour to get to Sofia Guesthouse (see the map): walk along "Maria Louisa" Blvd., then cross the bridge of "Slivnitsa" Blvd. and continue towards the mosque, located further on "Maria Louisa" Blvd. Reaching the mosque you will see "Sveta Nedelya" church (with green domes). Just in front of the Court House (on the right side some 100 m after the church) turn left and walk along the tram railway along "Alabin" Str. and "Graf Ignatiev" Str., passing through the open-air books market at "Slavejkov" square. Reaching the monument of Patriarch Evtimiy 250m after the square, turn right and following the street of the same name you will find Sofia Guesthouse on the left side just 350m after the monument. Using public transport you could get to Sofia Guesthouse by tram number 12. It passes along the same boulevards and streets mentioned in the walking version above. You have to get off on "Patriarch Evtimiy" station (for description of how to get to Sofia Guesthouse from this point see the map or the text above). Again do not forget to buy and punch a ticket or two (one for you and one for your rucksack if it is larger than 60x40x40cm). Pay attention for your wallet in the tram as the segment between the central train/bus stations and "Patriarch Evtimiy" station is favourite place of many pickpockets in Sofia. Pick up services are available. The price is 9 Euro/pax (daytime: 09:30- 18:00) and 20 Euro/pax (night time: 18:00- 09:30).